New York, NY — February 22, 2017 … After denouncing a wave of anti-Semitic incidents across the United States, the ADL’s headquarters in New York City were targeted. 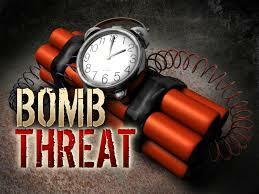 “Today, our national headquarters in New York received an anonymous bomb threat,” said ADL CEO Jonathan A. Greenblatt. “While there is no information at this time to indicate that this is more than a threat, we are taking it very seriously and working closely with law enforcement officials to determine if it is connected to similar threats against Jewish institutions across the country. According to a New York City police spokesman, the NYPD received a 911 call just after 11 a.m. from the Anti-Defamation League, reporting a bomb threat. The police and the NYPD bomb squad responded, searched the building, and found it to be safe. The building was not evacuated. Authorities are in the early stages of the investigation. The ADL bomb threat was one of dozens of threats and vandalism targeting Jewish community centers and other landmarks across the country in early 2017. In one incident, vandals desecrated a Jewish cemetery in St. Louis, Missouri by toppling and damaging headstones. Jewish residents in the town of Whitefish, Montana were threatened both online and offline as Neo-Nazis and members of the Alt Right threatened armed marches. The Whitefish Police Department says it is aware of the white supremacist website “The Daily Stormer” and its call for an “armed march” through the town of Whitefish. The FBI is involved in the investigations, and the ADL has called on U.S. Attorney General Jeff Sessions to launch a coordinated multi-agency probe. The Anti-Defamation League, founded in 1913, is one of the world’s leading organizations fighting anti-Semitism through programs and services that counteract hatred, prejudice and bigotry. 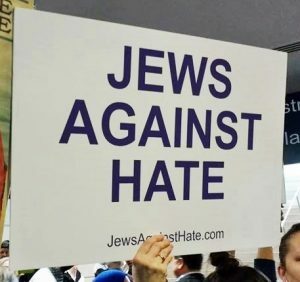 If passed, this law would strip far right groups from using and hiding behind free speech laws to incite violence against Jews and other minorities. The United Kingdom recently passed a law banning all Neo-Nazi, Alt Right groups from recruiting and promoting their hate agenda. The Yorkshire branch of National Action has been accused of seeking to incite the murder of Jewish people, tweeting derogatory terms used by the Nazis to describe Jews during the holocaust.